Music apps for iOS devices are extremely popular and using them means you can always have music at your fingertips! Using a mobile device to listen to music is now one of the primary uses of our smartphones and tablets, and the portability of these devices means that we can now tune in whenever and wherever we desire. Music apps allow you to find your favorite songs, make picks from your preferred genres, browse through new tracks and artists, and stream music, so their extreme popularity is no surprise. Some apps also include the option to download music to listen to offline, and this is an excellent option for when you have little or no Internet connection or if you just want to save on your data usage. 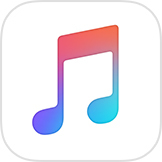 If you look at Apple’s App Store, there is a multitude of music apps available, and downloading some of these should be a must for music fans. However, the sheer number of them could mean it’s hard to know which to check out, and that’s where we come in. We’ve been looking at many of the music apps available for iOS devices to produce our pick of the best offline music apps for iPhone, iPad, and iPod, and among our choices, there is something for everyone. It’s worth noting that Apple has really cracked down on illegal free music downloading, so apps that allow free offline listening are scarce. Therefore, although all of the following apps are free to download from the App Store, the majority require in-app purchases or a paid monthly subscription for all of the features such as offline listening. Spotify is one of the best-known music apps available, and the free version has plenty of features including a massive catalog of music. You can listen to music on your iPhone or another iOS device, receive recommendations, and create your own playlists, and the user-friendly navigation makes it easy to search tracks, albums, and artists. We’re focusing here on offline music availability though, and that’s also offered with Spotify. This means you can save tracks to listen to offline although to do this you’ll need to pay to upgrade to Spotify Premium. To make your music available offline you need to head to the ‘Songs’ section and toggle ‘Available Offline’ to download the song or album you require. Following this, head to ‘Menu’ followed by ‘Settings’ and then ‘Playback’ to enable the Offline Mode. As well as being able to listen offline, the premium version of Spotify ($9.99 per month) also removes the ads and offers improved sound quality. If you have an iOS device, you are likely to already have the Apple Music app pre-installed. You get a free 3-month trial and then you’ll need to pay for a subscription from $9.99 per month. This will get you the full streaming music service with millions of songs, excellent music player functions, the 24/7 Beats 1 radio station with all the latest news from the music industry, the ability to share playlists and more. The important aspect here is that the subscription service also allows you to save songs and make them available to listen to when you’re offline. Pandora is a highly rated radio app that is free to download and enables you to create your own stations of preferred artists, songs, and genres. Alternatively, you can browse to find recommended stations to suit what you’re doing or how you’re feeling. To get the best from Pandora though, you might want to subscribe to Pandora Plus or Pandora Premium. Pandora Plus is a $4.99 monthly subscription and offers personalized radio with no ads, offline listening of up to 4 stations and more. If you want the fuller service, you can opt for Pandora Premium for a monthly subscription of $12.99. This will enable you to download any music for offline listening, with higher quality audio and much more. This is another great music and audio platform with millions of tracks to listen to. The community aspect of this app is one of its highlights, as it offers the chance to interact with artists and connect with friends, and there’s music from emerging artists through to global superstars, mixes, and also live sets. As well as music the app offers audiobooks, podcasts, and sports, and there are three levels of SoundCloud available. The free version has lots to take advantage of but for offline listening you’ll need to upgrade. SoundCloud Go is $5.99 monthly and gives you access to your music collection offline, over 120 million tracks, and no ads. Alternatively, you can choose SoundCloud Go+ for a monthly subscription of $12.99 (after a 30-day free trial). This also offers offline listening, an expanded catalog of more than 150 million tracks and more. This free app is really appealing and streams unlimited music from a huge amount of radio stations as well as podcasts. Users can delve local AM and FM radio stations or choose from top radio stations across the world, including sports stations. You can also gather all of your favorite songs into your own personalized station. However, like most other iPhone music apps there are bonuses if you’re willing to pay. For example, iHeartRadio Plus at $5.99 per month removes the ads and more. On the other hand, iHeartRadio All Access at $12.99 monthly, enables you to save and replay songs from the radio, download music so you can listen offline, create an unlimited amount of playlists and more. The selling point of Tidal is the High Fidelity sound quality on offer with HD music videos and the latest news and features from music experts, journalists and the artists themselves. The app is free to download, with over 40 million tracks and more than 130,000 music videos to choose from, and you can opt from a subscription to either Tidal Premium for $12.99 monthly or Tidal HiFi for $25.99 monthly. A whole bunch of features are offered with this app and the offline mode for downloading tracks, albums, and playlists, works for up to three devices. Napster was formerly known as Rhapsody and aims to support the musician community by providing music on-demand (with over 30 million tracks) for a monthly subscription fee of $9.99. For this, you’ll have the ability to download an unlimited amount of music for offline playback, create playlists of your favorite songs, and stream music. You’ll also have the advantage of Napster’s global Listener Network technology that will help you find new music you’re likely to enjoy by analyzing the similar listening tastes of other users. There are no annoying ads either, always a bonus! Another good choice is Slacker Radio, a curated music program that personalizes to your tastes. There are hundreds of music stations as well as hosted music shows and the ability to create and share your own music stations, but upgrading from the free version through in-app purchases will get you more. For $3.99 monthly you can move up to Slacker Radio Plus to remove ads, get improved audio quality, and unlimited skips. If you want to listen offline and play on demand though, you’ll need to upgrade to Slacker Premium at $9.99 monthly. Yes, Google does a version of its proprietary music app for iOS devices! Free features include radio and playlists by music experts, recommendations that develop as your tastes become more known, and storage and streaming for music uploaded from your collection (up to 50,000 tracks). A subscription of $9.99 per month will get you that all-important ability to listen offline, on-demand access, and the benefit of YouTube Red membership. The final choice on our list is Spinrilla, and this app offers something a little different and is likely to appeal to hip-hop fans. It focuses on enabling users to check out emerging independent hip-hop artists and mixtapes from the underground. You can view trending music, and there’s the opportunity to preview tracks before they’re available to everyone else, as well as receive notifications of new tracks from your favorites. New music is added every day, and for a change, the free version also offers an offline mode. You can also choose to upgrade to the Spinrilla Pro membership for just $0.99 monthly, and this will remove the ads. Mobile devices have revolutionized the way most of us listen to music and being able to play anything at just about any time is a real step forward. While streaming is hugely popular, it’s advantageous to be able to download music for offline listening, especially when you’re not sure what your Internet connection will be like. 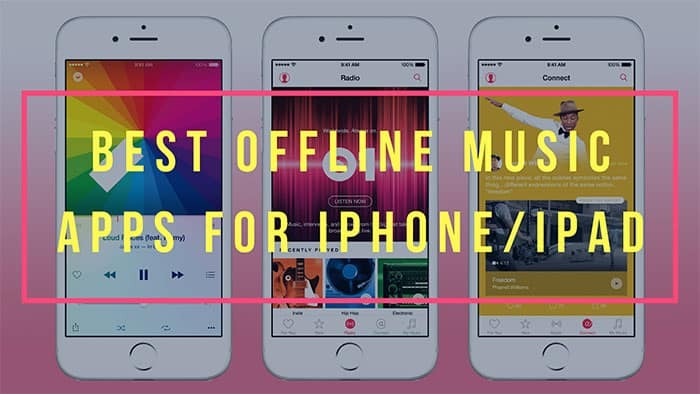 With this selection of the best offline music apps for iPhone that’s definitely an option that’s open to iPhone users, so now you never need to be concerned about having music on the go for just about any occasion. If you enjoy using any of the above music apps for iPhone we’d like to hear your favorites, so do consider sending a comment.